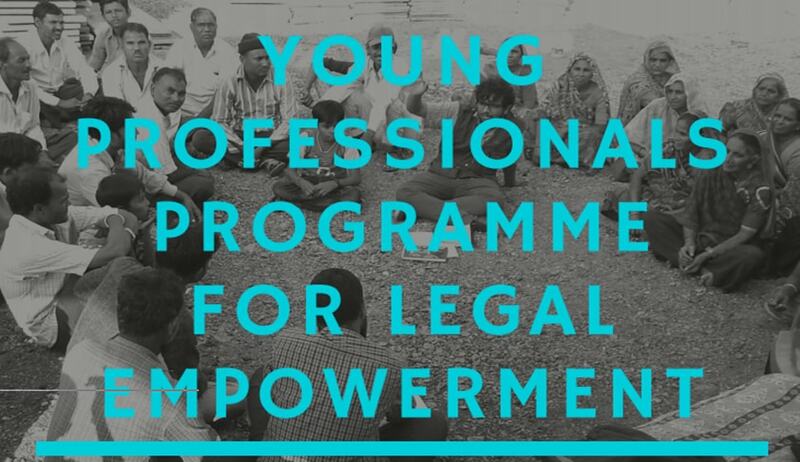 The Young Professionals’ Programme for Legal Empowerment (YPPLE), anchored by the Centre for Social Justice (CSJ), is designed to equip young legal professionals to become powerful change agents by giving them the opportunity to develop holistic understanding of how legal empowerment can contribute to social change through an intimate engagement with field realities. The YPPLE is now entering its fifth year. In the first four years of the programme, CSJ placed 19 young aspiring researchers in its field areas, where they engaged with grassroots realities and in the process grew immensely both professionally and personally. The programme allowed these young minds to pursue their true interests, with each individual finding something that they can call their own, be it a particular sphere of law, a work profile or a social cause they care about. Many YPPLEs continue to be associated with CSJ beyond the duration of the programme and are helping CSJ fulfill its vision towards society. Fellowship: A fellowship of Rs. 25,000 per month will be paid to the selected candidates. Please note that the programme is designed as a two-year engagement. At the end of the mandatory one-year commitment, candidates would have the option to either continue working with CSJ or opt out. Eligibility: The Programme is open to young law graduates/legal professionals who wish to pursue a career in the field of human rights as lawyers, practitioners, researchers or academics. Willingness to engage with field realities live in challenging conditions and to travel extensively are things every candidate must be willing do. Candidates must above all display a strong drive, motivation and commitment towards working for social change. Candidates interested in applying for the Programme must fill this application form. For more details, please refer to the brochure for the fellowship, or click here.